From forgeries to pyramid schemes, charges for insurance you don’t need and mass identity theft, fraud is a serious white-collar crime that few seem to want to shy away from, especially when it involves getting money easily, making it something every businessman should always prepare for. It’s not easy to avoid fraudulent activities in your company but you can and you should do everything necessary to stop it from happening before it even starts, to tell the signs or to simply make sure that every aspect of your business, including that of your customers’, are intact and well-protected. 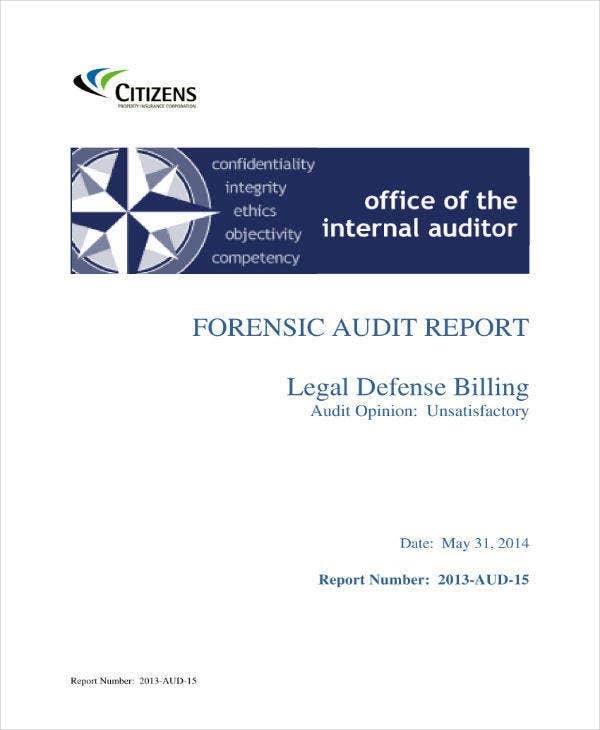 You may also see internal audit report templates. Professionalism demands that we do what’s right and what’s ethical when it comes to our jobs, but humans as we are, the rest of us can submit to being fickle and don’t think twice to consider the implications, consequences, and seriousness of our actions, especially when it comes to anything about money and personal gain, like financial fraud. Recently, we have heard about good old Wells Fargo being fined a billion dollars to resolve investigations of lending abuses, with numerous fraud charges to one of America’s most enduring brands and trusted banks. You may also see the quality audit report templates. As what was previously stated, fraud is a serious crime that usually comes with heavy punishments and fines, costing a company more money than it can afford to lose and in worst cases, leading them to the brink of ultimate bankruptcy. If you think about the company losing money, you should also think about clients or customers who fall victim to fraudsters, that tales of these unfortunate misdeeds can sometimes be stranger than the last fiction novel you’ve read. You may also see safety audit report templates. While financial fraud isn’t really new, the seriousness of the crime can have some significant impact. According to the Association of Certified Fraud Examiners (ACFE), Small businesses with less than 100 employees experience a median loss of $154,000 due to fraud, a number which is higher than most bigger companies. It isn’t just important to recognize fraud when you see it. 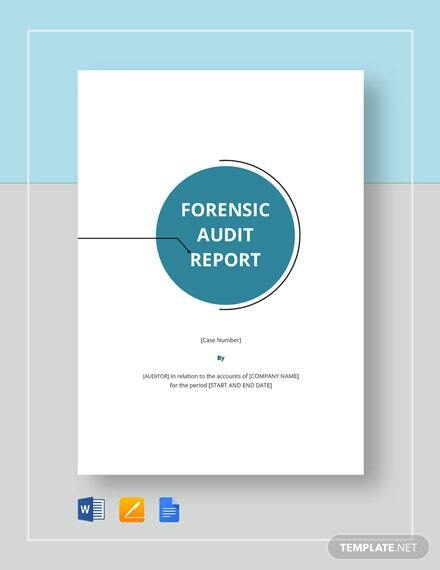 It’s important to also make sure it isn’t happening in your business, which is why your business should have a forensic audit report created as often as needed. 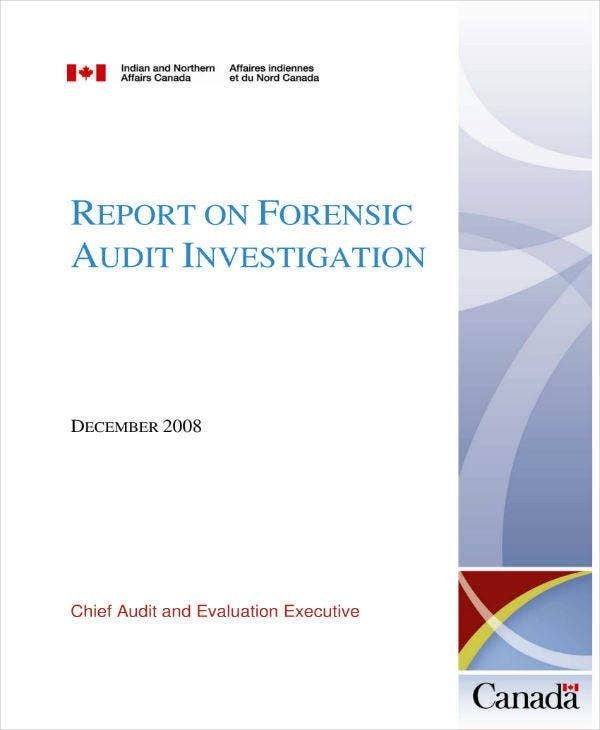 What is a ‘Forensic Audit’? A forensic audit is performed as an evaluation and examination of a company or a person’s financial information so that it can be used in the court of law or in legal proceedings as a strong evidence which could also lead to a person’s prosecution. It can also be conducted so that a certain individual or party can be prosecuted for fraud charges, embezzlement and other claims involving other people’s money. Additionally, an audit may be performed over child support disputes; claims of negligence and to determine how much a spouse would have to pay as they had agreed to, in court. 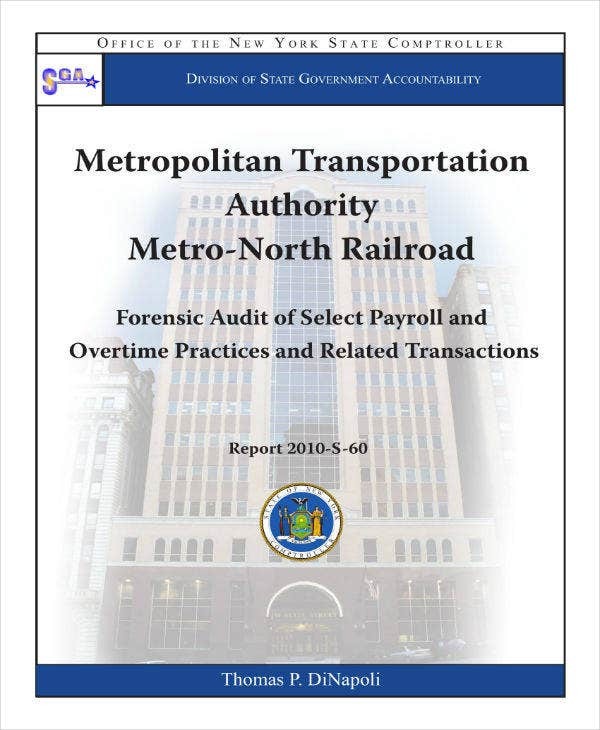 You may also see safety audit report templates. Conflicts of Interest – This happens when people guilty of committing fraud to use their authority or influence for personal interests detrimental to the business. A likely situation would be a supervisor allowing the recording and approving expenses that are inaccurate and unaccounted for, by an employee with whom he has a personal relationship with. Even though the supervisor wouldn’t be financially benefiting from the said approval, he is still assumed to be likely receiving other personal benefits after making such (inappropriate) approvals. You may also see HR report templates. Bribery – The word is already pretty suggestive of offering money to get things done in someone’s personal favorites. For example, you’re influencing a situation or an employee in an offer of a certain position, money or any other thing in exchange for confidential data from a certain competitor to eventually make an offer they can’t refuse, thereby putting your company in a position of power. You may also see sample summary report templates. Extortion – If you demand money for your company in order to close a deal with the competitor, using the same example, then that would be considered extortion. You may also see exceptional report templates. Probably the most popular and most prevalent type of fraudulent activity, asset misappropriation comes in various forms such as fake invoices of non-existent expenses, payments made to non-existent suppliers or paychecks made out to employees who aren’t there, misuse of assets and resources, inventory theft, and many more. You may also see compliance report templates. There are a lot of companies who take competition a little too seriously, so much so that they’re willing to go through any lengths, including compromising their reputation and showing a financial performance better than what they actually achieved, which would fall under financial statement fraud. They could be faking numbers and figures to raise liquidity, make sure that higher management stays on the bonus paychecks or deal with the pressure of competition for market performance. A few examples of financial fraud are the forgery of accounting or bookkeeping records, an omission of actual transactions, be it profit, revenue or expenses, failure to document of relevant details from sample financial statements or point-blank refusal to apply the requirements of financial record-keeping or reporting standards. 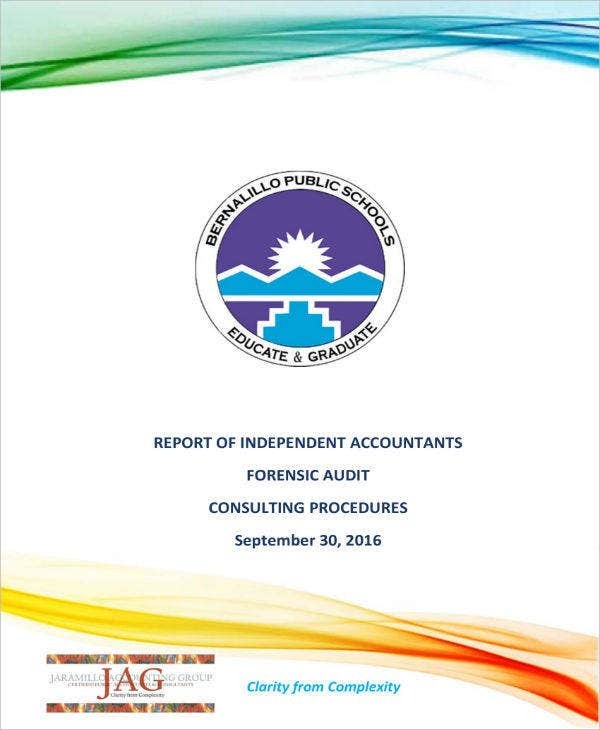 Anyone who is set to conduct a forensic audit is required to have enough experience as a professional and should be someone who has trained in techniques required for forensic auditing and is knowledgeable about the legalities of issues surrounding accounting. You may also see sample access report templates. As a client, when you hire a professional to produce a forensic report sample, he may need to perform a forensic investigation first and should be able to understand where the focus of the audit falls. This is because there are cases that a client or a businessman is already suspicious of certain fraudulent activities going on under his watch and it could be in terms of the supplies being purchased or the quality of materials being produced, not justifying the money being spent. You may also see sample safety report templates. By the end of the auditing process, the forensic auditor should be able to understand and identify from his expertise, the type of fraud that has been committed in the company premises as well as the perpetrators. Also, the evidence collected should be sufficient for proving the party’s identity and admit them in court, expose the details of the whole scheme and record the amount of financial loss that resulted and everyone affected by the crime. 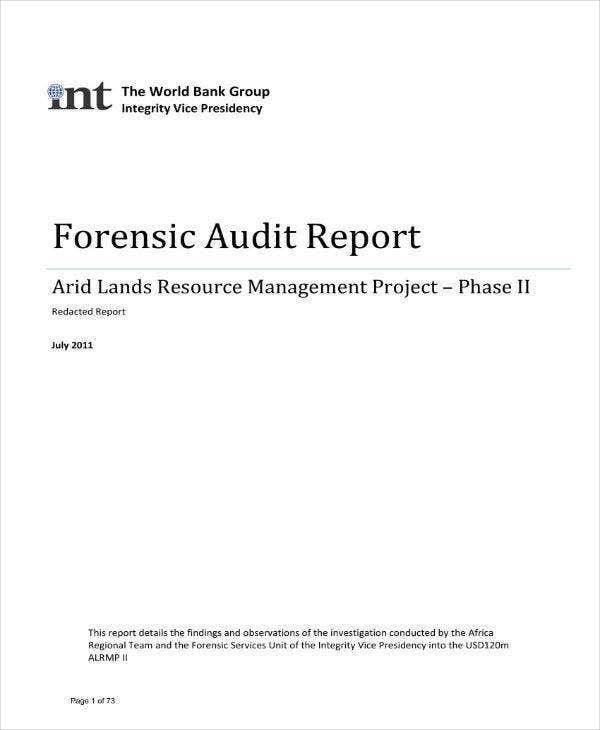 You may also see environmental audit report templates. 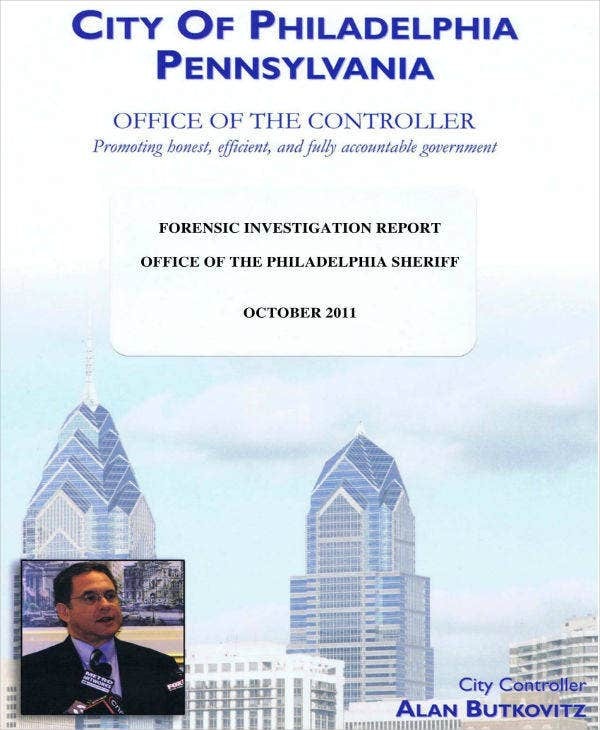 Probably the most important part of the whole audit and investigation, a report is required so that the fraud can be presented properly to the client, revealing the findings and results of the investigation, a summary of the evidence collected, an explanation of the activities that lead to the actual fraud, guilty party and plans, suggestions or strategies on improving internal controls for fraud prevention. The report also needs to be shown to the client to help them take legal action if they so desire since they would very much have every right to. You may also see sample financial report templates. Should the client or the company take legal action, the forensic professional should be present during court proceedings to interpret and explain the evidence collected and how the suspected party was revealed. 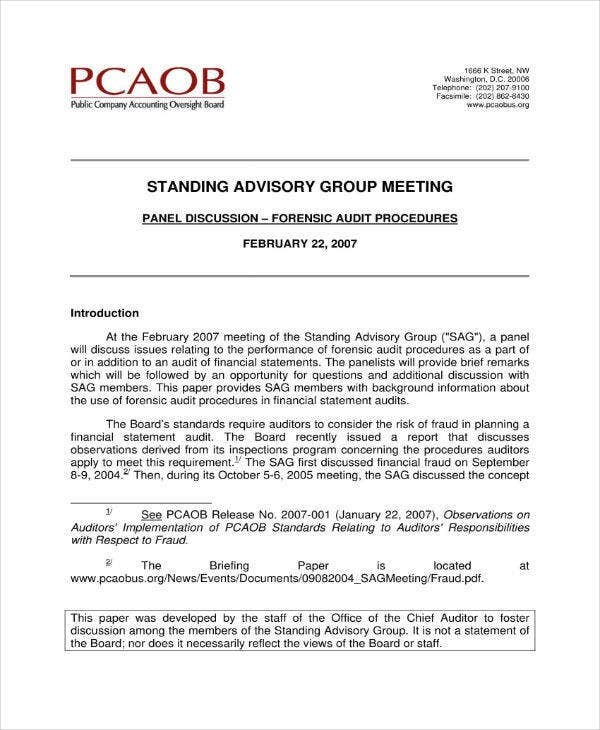 He or she should be able to also explain the accounting issues in simple, understandable terms for the benefit of those who should understand the fraud that was committed even if they cannot understand accounting jargon. You may also see sample reports. A forensic audit is, therefore, a detailed engagement requiring the knowledge and expertise of not only auditing and accounting standards and procedures but also expertise and understanding of the legal framework surrounding it. 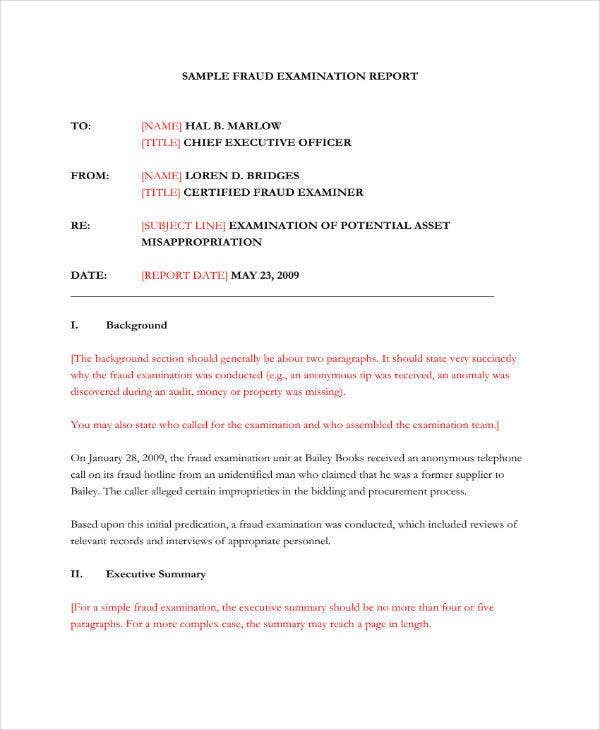 A forensic or auditing professional should have enough experience and understanding of different forms of frauds that can be committed in business or in any organization and of how evidence needs to be gathered. 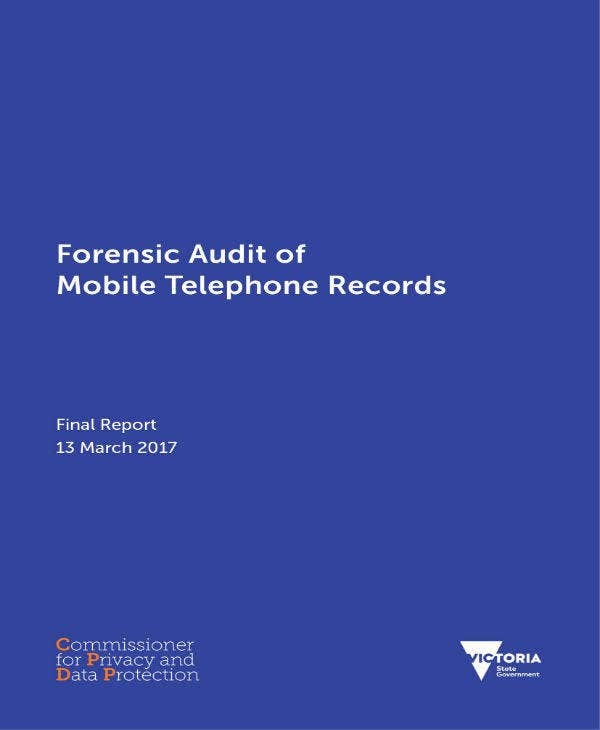 You may also see report examples.